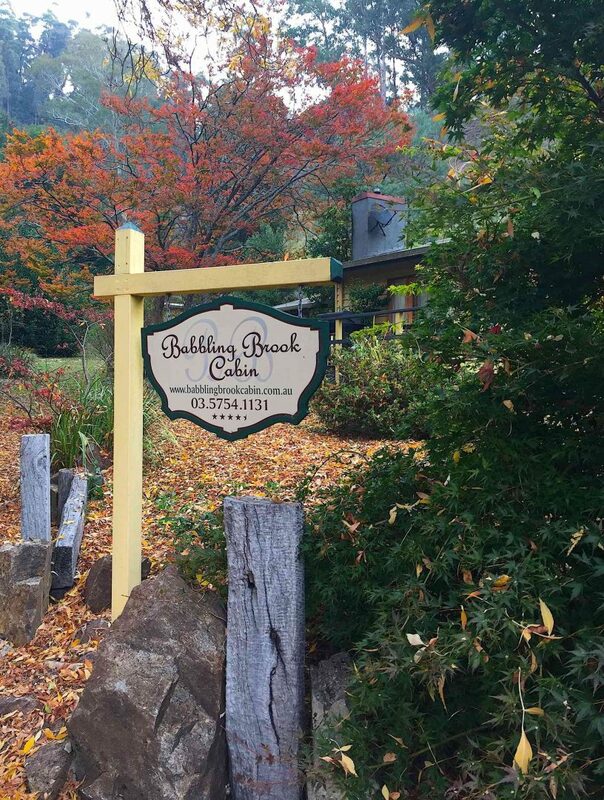 Autumn in Bogong Village is stunning! The European plantings put on a spectacular show in this unique bush hideaway. Golden hues – orange, yellow and red, contrast wildly with the evergreen alpine forest that surrounds this small settlement, located halfway up the mountain between Mt Beauty and Falls Creek. 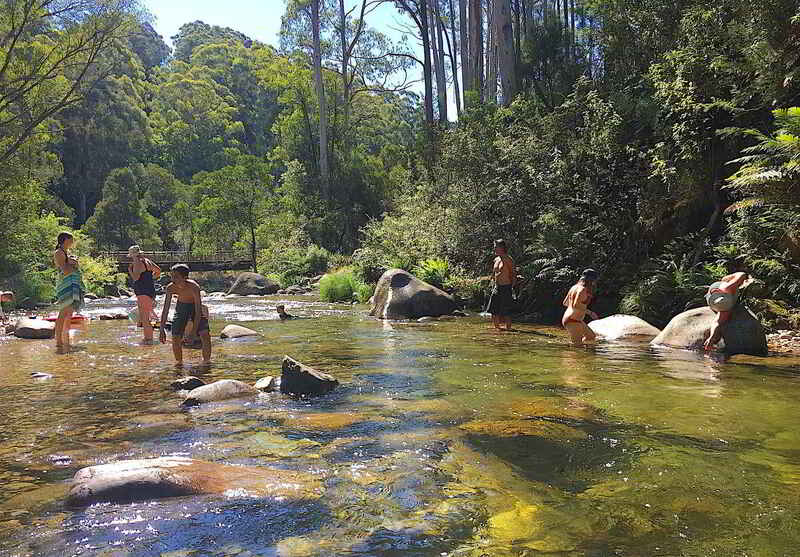 I work at Bogong Village full time as the Accommodation Manager and it is quite simply one of the best jobs I have ever had. I manage a collection of cottages that were built to house Kiewa Hydro Scheme workers and later provide holiday accommodation for families from the former State Electricity Commission. In the late 1990s it was privatized and opened to the public as a holiday accommodation village and that is why I am here. People love the village and visit from far and wide drawn by the beauty, peace and tranquility. I am always surprised by the number of return guests we have -it seems once you have spent time here it takes hold of you. When guests spend a few days here they soak in the spirit of the place and recharge their city weary souls. Now we are getting ready for winter – a crazy time in the village! It is our busiest period as it offers affordable access to a snow/ski holiday that would otherwise be out of reach for many low to middle income families. Unfortunately, just as we were making our plans, AGL announced to the public that it intended to acquire the leases for the properties in the village. Their review has been ongoing for some time but the decision not to continue in the current arrangement has been sudden. I want to re-assure our loyal guests and lovers of the village that this winter Bogong Village is absolutely open for business and gearing up for another great season. We continue to offer a range of accommodation at very reasonable prices and we will endeavour to make our guests stay as enjoyable and comfortable as always. 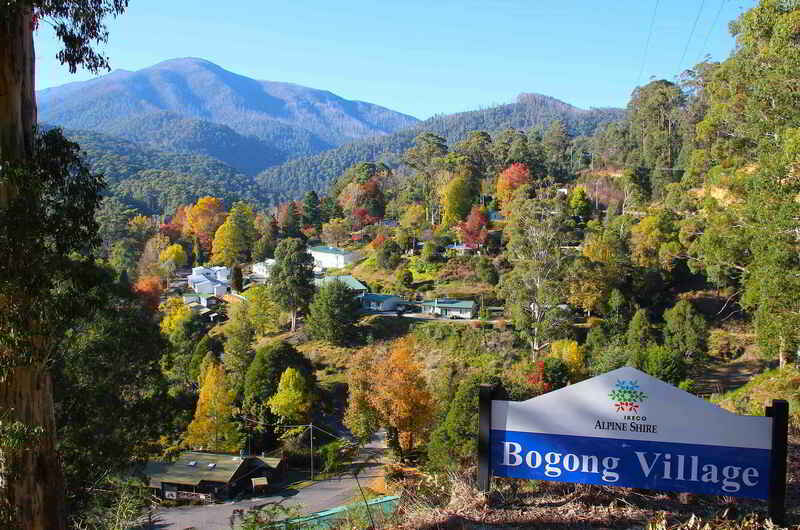 Bogong Village Pty Ltd has been running the accommodation business here for 14 years and it has been going from strength to strength, despite a bushfire that destroyed several properties and construction of the Bogong power station. I certainly have been enjoying the challenge of building on the great work of previous manager Helle Borup. With an uncertain future it would be unfair to take long term future booking but beyond winter we are taking bookings through spring and summer, covering the Christmas/New Year period and up to the end of January 2019. I would just like to say that if you have stayed in the village, ridden your bike from High Plains Road down to our lake, had a picnic or barbecue here, taken photographs of the amazing beauty, walked the trails, fished the waterways, taken a swim in the streams and relaxed under the glorious trees, come and see us again when you can this year. We would love to see you!